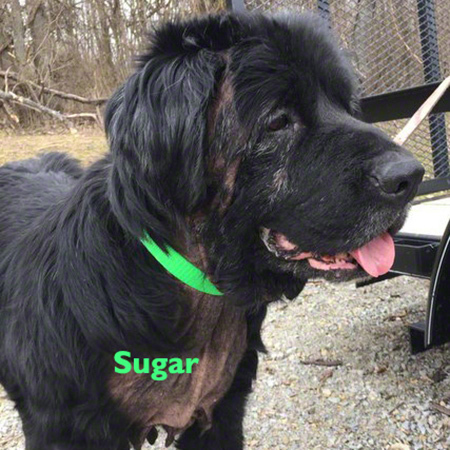 Meet Sugar - Sugar suffered from severe skin disease, eye infections and overall neglect, even so, her precious Newfoundland temperament shown through. 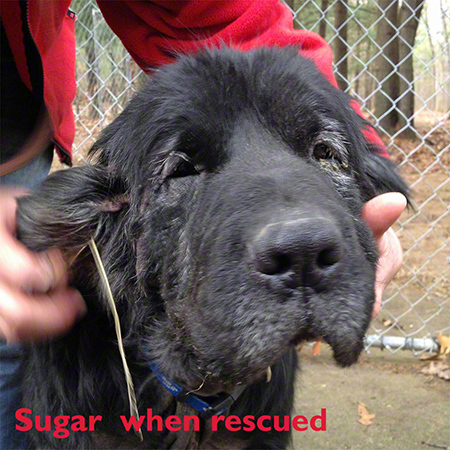 Here is what one of the volunteers involved in her rescue had to say - "I had the pleasure of transporting Sugar, Willow and Hope; such sweet girls starving for love and affection. Sugar edged her way up to the front of my van and clung to my husband while I drove. She ended up putting her head in his lap. 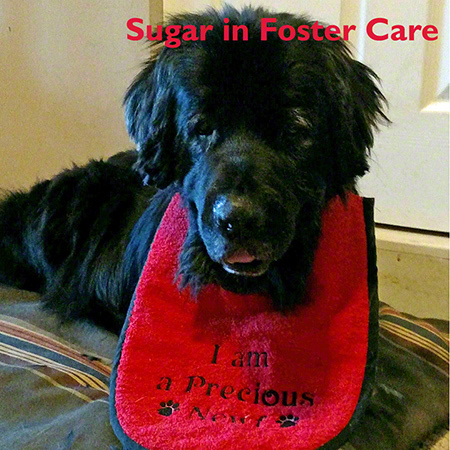 - Phyllis Bianchi"
Please help the National Newfoundland Rescue Network continue the work of saving Newfs like Sugar.